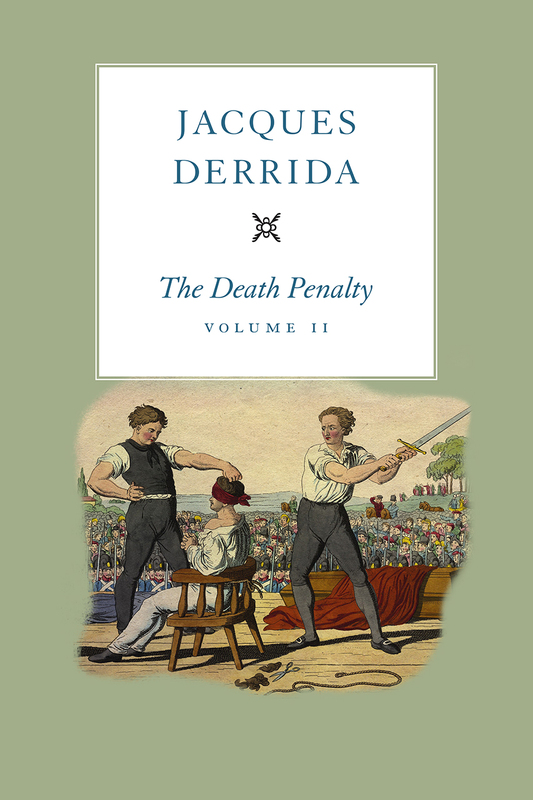 In the first volume of his extraordinary analysis of the death penalty, Jacques Derrida began a journey toward an ambitious end: the first truly philosophical argument against the death penalty. Exploring an impressive breadth of thought, he traced a deeply entrenched logic throughout the whole of Western philosophy that has justified the state’s right to take a life. He also marked literature as a crucial place where this logic has been most effectively challenged. In this second and final volume, Derrida builds on these analyses toward a definitive argument against capital punishment. Of central importance in this second volume is Kant’s explicit justification of the death penalty in the Metaphysics of Morals. Thoroughly deconstructing Kant’s position—which holds the death penalty as exemplary of the eye-for-an-eye Talionic law—Derrida exposes numerous damning contradictions and exceptions. Keeping the current death penalty in the United States in view, he further explores the “anesthesial logic” he analyzed in volume one, addressing the themes of cruelty and pain through texts by Robespierre and Freud, reading Heidegger, and—in a fascinating, improvised final session—the nineteenth-century Spanish Catholic thinker Donoso Cortés. Ultimately, Derrida shows that the rationality of the death penalty as represented by Kant involves an imposition of knowledge and calculability on a fundamental condition of non-knowledge—that we don’t otherwise know what or when our deaths will be. In this way, the death penalty acts out a phantasm of mastery over one’s own death. Derrida’s thoughts arrive at a particular moment in history: when the death penalty in the United States is the closest it has ever been to abolition, and yet when the arguments on all sides are as confused as ever. His powerful analysis will prove to be a paramount contribution to this debate as well as a lasting entry in his celebrated oeuvre.